The government has today published its Good Work Plan which sets out the legal changes it will make to protect (mainly) vulnerable workers. To read about the background to this, please see our earlier update. Both workers and employees will have the right to a written statement of terms and conditions from their first day of work. How long a job is expected to last, or the end date of a fixed-term contract. How much notice an employer and worker are required to give to terminate the agreement. Details of eligibility for sick leave and pay. Details of other types of paid leave e.g. maternity leave and paternity leave. The duration and conditions of any probationary period. All remuneration (not just pay) – contributions in cash or kind e.g. vouchers and lunch. Which specific days and times workers are required to work. Agency workers will be entitled to receive a document setting out key facts which clearly explain what type of contract a worker is employed under, the minimum rate of pay that they can expect, how they are to be paid, if they are paid through an intermediary company, any deductions or fees that will be taken, and an estimate or an example of what this means for their take home pay. 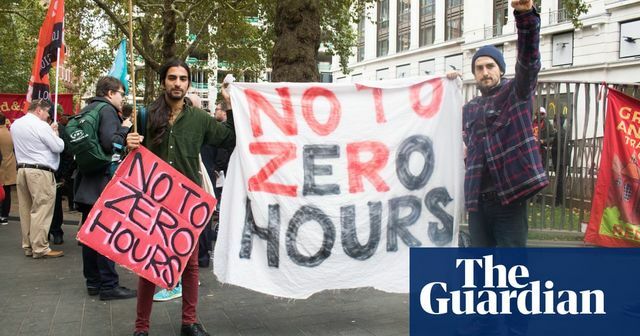 This is aimed at helping workers (and employees) on casual or zero hours contracts who don't know from one week to the next how much work they will be offered. The suggestion is that after 26 weeks working for the same employer, they will be able ask for a more predictable contract. It sounds as though this might operate in a similar way to the existing right for employees to request flexible working. We would expect businesses to be able to reject applications if they can't accommodate them for a legitimate reason. Zero hours contracts will not be banned. Breaks of up to four weeks will be ignored for the purposes of working out whether an individual has a sufficient period of continuous service to benefit from employment rights. Currently, this is limited to breaks of up to one week. The government says that it will consider how to streamline the employment status tests so they are the same for employment and tax purposes, and to avoid employers misclassifying employees /workers as self-employed. This is a notoriously difficult area and despite the numbers of claims the courts have not been able to introduce a single test that points to the distinction in all cases. Whether the government can come up with anything better than the existing system remains to be seen. Legislation will be introduced to prohibit employers from keeping tips given to workers by customers. Some agency workers enter into employment contracts with their work agency under which they receive some pay even when they are not working. Whilst that sounds like a "win win", it means that the worker doesn't have to be paid at the same rate as comparable employees - a right that would otherwise apply after they had worked for the same employer for 12 weeks. The government believes these contracts are inherently unfair and says it will ban them. It found that many agency workers were not being paid between assignments and the contracts were used to undercut the competition. The reference period for calculating holiday pay will be increased to 52 weeks (currently it is 12 weeks). This will help workers whose earnings fluctuate through the year to have their holiday pay averaged. The government hopes this will encourage more workers to take the holidays they are entitled to. The government wants to encourage more employers to engage with their staff and proposes to increase the threshold required for a request to set up information and consultation arrangements from 10% to 2% of employees. The 15 employee minimum threshold for initiation of proceedings will remain in place. The government intends to strengthen the enforcement of employment tribunal awards, including the possibility of penalties of up to £20,000 (rather than £5,000) and naming and shaming employers who do not pay employment tribunal awards. We don't know. These proposals and the government doesn't indicate how quickly it is likely to be able to introduce the legislation necessary to make changes. Please contact our expert, Kirsty Ayre by email: kirsty.ayre@irwinmitchell.com or by phone: +44 (0)114 274 4911. If you are interested in finding out about how we can support you with our fixed-fee annual retainer, or flexible discounted bank of hours service, please contact Rachel Hetherington: rachel.hetherington@irwinmitchell.com or: 44 (0)121 203 5355 for a no obligation quote. Should you allow staff to record disciplinary and grievance hearings? Do you have to pay staff for doing "a bit extra" before or after work?